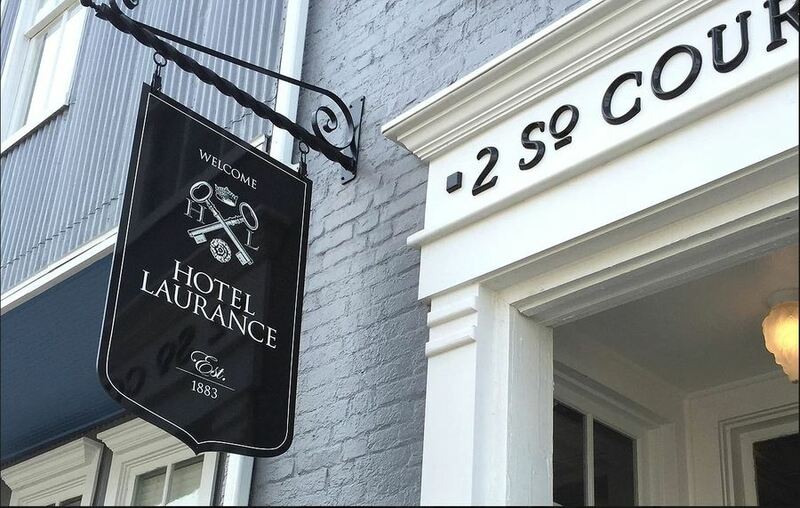 The Hotel Laurance is a newly renovated,12-room boutique hotel. 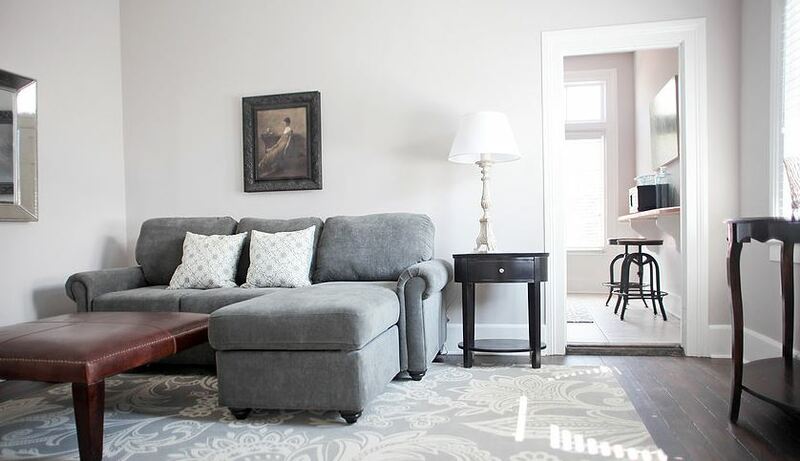 Each room is uniquely organized with comfortable beds, Smart TV, and within easy walking access to the downtown restaurants and attractions. 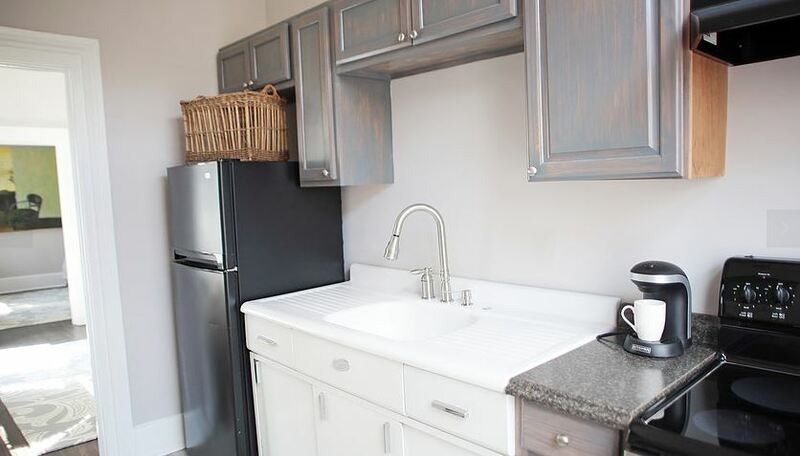 Each room has a full kitchen, perfect for a short-term or extended stay. History in a name. Hotel Laurance is steeped in rich history. Built in 1830 as a mercantile establishment, the hotel was converted by Joseph Parkinson in 1883 to the Hotel Laurance, named after his wife, Laura. 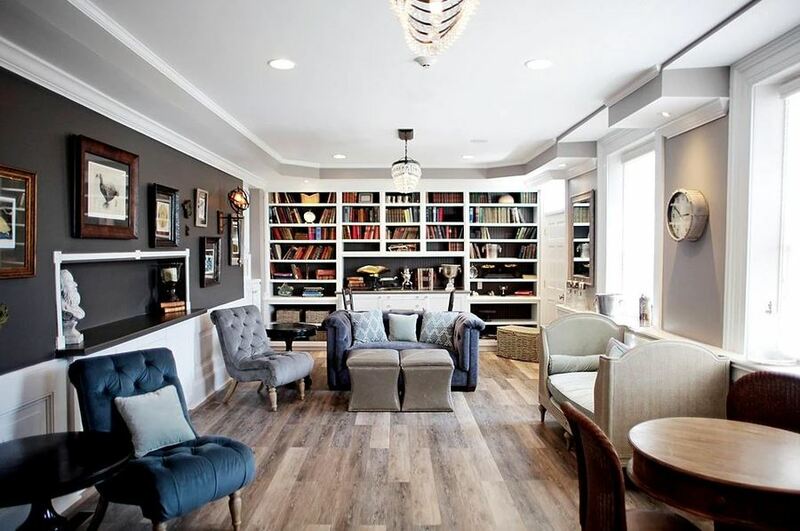 The Hotel Laurance has been a favorite destination for travelers exploring the Luray Caverns and looking to experience the Shenandoah Valley, the town of Luray and the myriad activities the area has to offer. 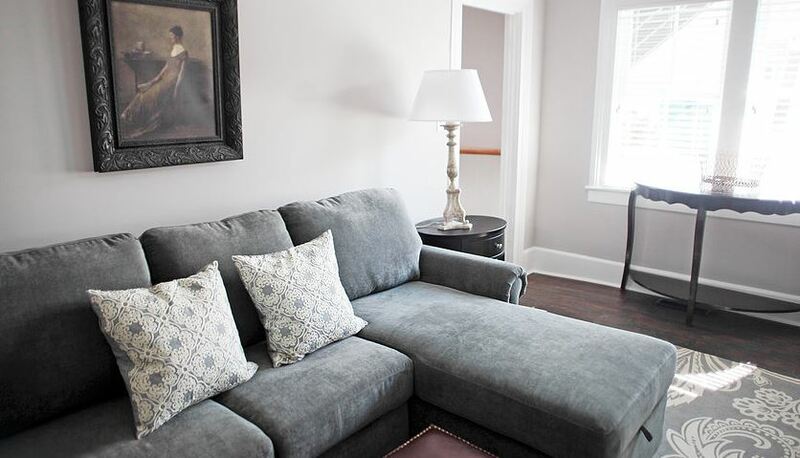 The Meranda, located on the first floor, is a very accommodating guest suite with a more modern feel. 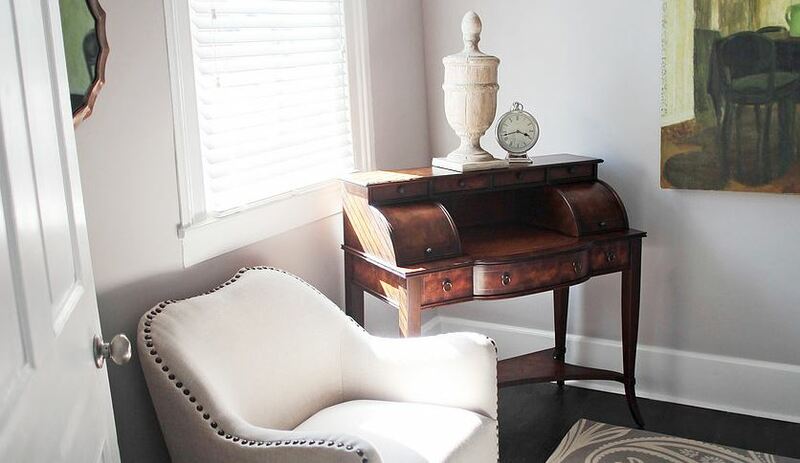 This suite is smartly designed with an inviting sitting room that just asks for lounging. A small gallery kitchen features a 1950 sink system and antique kitchen stools. 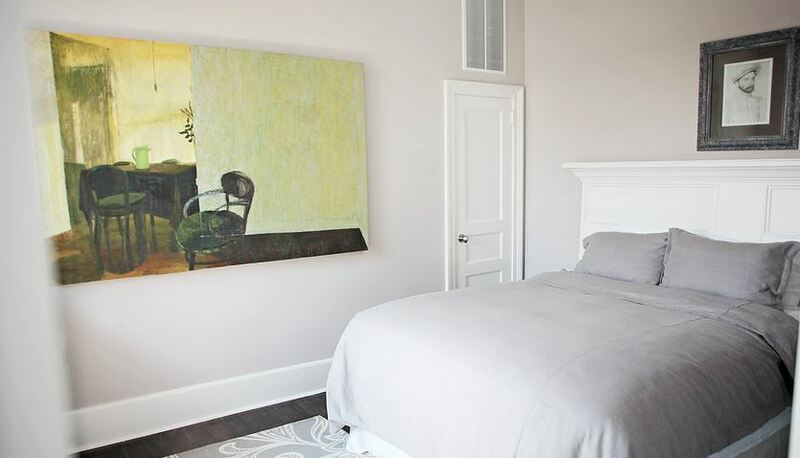 In the bedroom, a queen bed with a headboard crafted from one of the original doors is the focal point, with the added mix of antique and modern touches The bathroom is fully tiled with a large shower. With so many activities and events is Luray and surrounding areas, it will be hard to decide how to spend your days. If your an outdoor enthusiast, there is unlimited beauty while hiking, biking a boating in Shenandoah National Park. Explore the amazing Luray Caverns or visit one of the many fairs and events in the town. No matter how you and your family like to make memories, you’re you will find your adventure here. Please notify us if you are planning to arrive later than 6:00 P.M. We can arrange self-check in as all rooms are have keyless touch pad system, as we do NOT have a front desk.